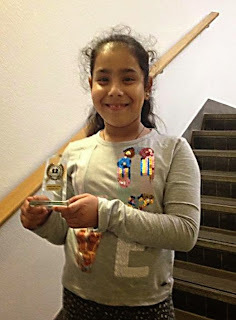 Immediately after Christmas (28 December), Bury's Anita Somton (128 ECF) will travel to London to take part in the Under 12 section of the London Junior Chess Championships. The results will be published here after the event. Entrants must have achieved a good score from one of a number of qualifying tournaments. Anita scored 5/6 in the Under 14 section of the Woodbridge Junior on 23 November. Anita will play nine games over the three-day event. She will be able to play in the same section next year, as she is currently an Under 11.